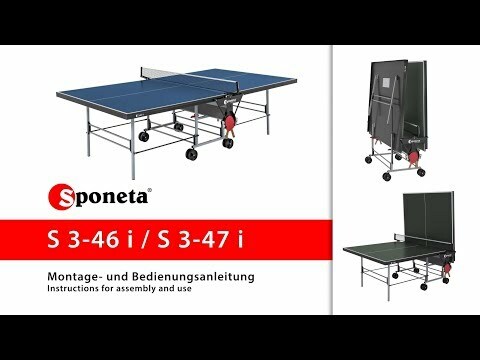 The Sponeta Sportline Outdoor Table Tennis Table is an entry level table that has a 5mm resin playing surface. The frame and legs aren’t particularly strong and we feel that the storage position is untidy, and not as stable as you’ll find with other brands. This table does offer very good weatherproofing, as well as having playback for solo practice and bat and ball storage. This table is very expensive when compared to the Cornilleau Sport 400M, so we recommend taking a look at that table.